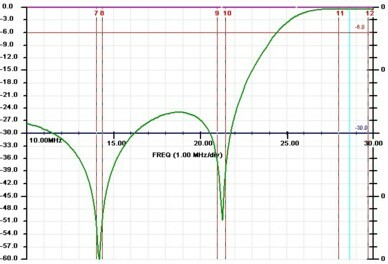 100 W three poles Band Pass Filter for 10 m.
Filters for 160 m thru 12 m are 3-pole Chebyshev designs which provide over 40 dB rejection of adjacent bands (excluding WARC bands). 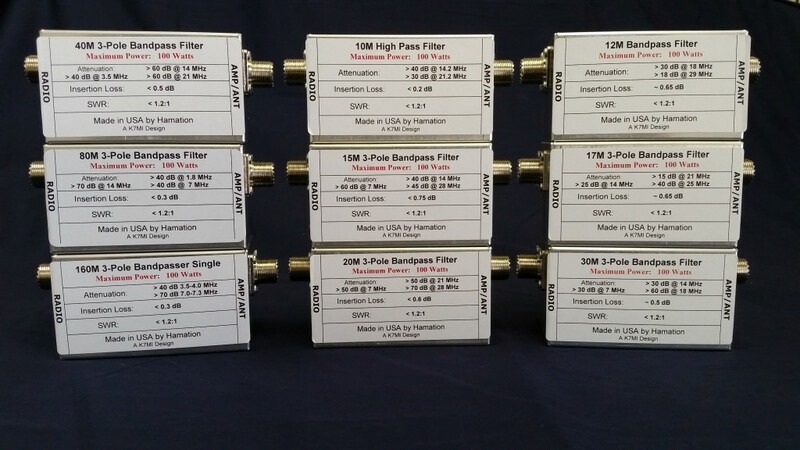 Due to the narrow separation between 15 m and 10 m (25%), the 10 m filter is a Cauer high pass design that provides notches on the 15 m and 20 m bands. 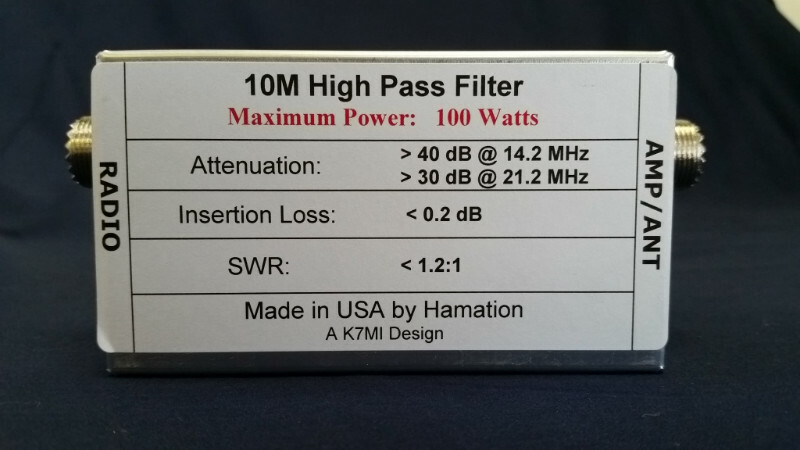 These filters are rated at 100 watts (@ 2:1 SWR max) and can handle 100% duty-cycle modes, such as RTTY with ease. 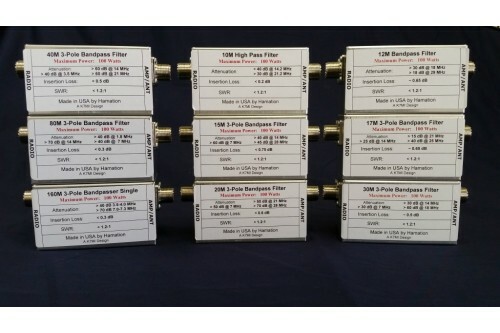 These filters are designed be used between your radio and amplifier or antenna. 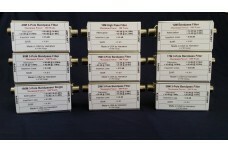 They have low insertion loss (less than 0.2 dB) and low SWR (less than 1.20:1) across an entire band. 10 m band S21 (Insertion Loss) and SWR plots.